This blog has been long overdue. The European Investment Bank (EIB) together with the UN Capital Development Fund (UNCDF) launched a study in December 2014 on digital financial Services (DFS) in Sub-Saharan Africa, notably Benin, Cameroon, Kenya, Mozambique, Nigeria, Senegal, Uganda and Zambia. The objectives of the study was to assess the key success factors from Kenya which is known globally as the DFS success story and how these success factors compare to what is found in the other seven markets of the study, and how lessons from Kenya could be applied to expand DFS in these 7 markets. Evidently for the EIB, the main purpose was to find potential investment targets to further financial inclusion. 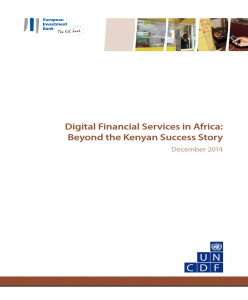 The implementation of MPesa has driven financial inclusion in Kenya from 19% in 2006 to 67% in 2013. When MPesa was launched in 2007, the Kenyan regulator granted Safaricom a “non-objection” letter that allowed the company to innovate and to pilot test ist services. Prior to Mpesa there were limited means of transacting and conducting payments. Kenya was struck with political violence in 2008, which catapulted use of the Mpesa Service. The violence led to the disruption of normal transportation and the shut-down of formal financial services, such as ATMs. The only way for people to send money was through Mpesa. Safaricom had a dominant market position. It was able to listen to its customers and iterate the products to suit the needs. “Send Money home” became ist primary use case after failed attempts to use Mpesa as a microfinance institution loan repayment tool. Higher education levels, coupled with good infrastructure, allowed Safaricom to successfully launch ist service with 18.2m mobile money suscribers and 80,000 agents across Kenya. Only 20% of the population is banked – one of the lowest of the countries studied. Benin is a member of the West African Economic and Monetary Union (WAEMU), and shares a currency and central bank—BCEAO (Banque Central des Etats de l’Afrique de l’Ouest)—with seven other member states. The DFS market is still nascent with just 400,000 registered DFS users, representing 7 % of the adult population. Infrastrcture challenges persist with poor quality of the telecommunications networks, frequent electricity lackouts, poor roads and few structured rural distribution networks. The post office is active in financial services but suffers from poor liquidity, resulting in low usage and an unviable channel for DFS. Banks and MNOs, as well as third parties, are able to offer DFS through BCEAO licensing; however, MNOs have preferred to partner with banks to offer services for ease and speed of regulatory approvals. The MNO MTN has the largest market share for mobile airtime and mobile money services, with approximately 34% of the market. Banked population reaches 47% due to the many cooperatives in the country. However, 80% of banks’ loan portfolio is comprised of large companies rather than retail customers. Cameroon is the administrative centre of CEMAC (Communauté Économique et Monétaire de l’Afrique Centrale). Only banks are able to directly offer DFS, without any allowance for MNOs. There are 2.7m registered DFS users, representing 22 percent of the adult population. MNOs have partnered with banks to offer DFS in the country. MTN, the largest MNO with seven million SIM subscribers, has partnered with Afriland First Bank. Orange, the second largest operator with six million subscribers, has partnered with BICEC (Banque Internationale du Cameroun pour l’Epargne et le Crédit) to offer its Orange Money service. Société Générale is also providing services that are available to subscribers of both MTN and Orange—creating a unique option for interoperability in a duopoly mobile market. 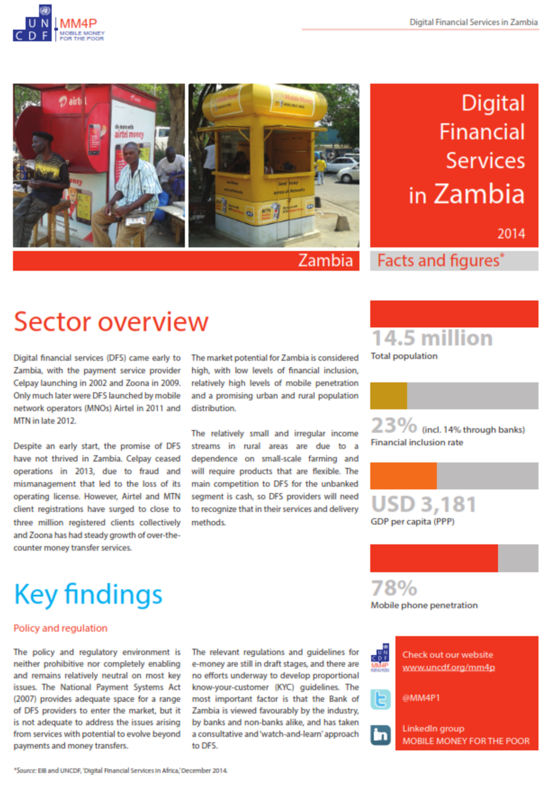 Mozambique is the least developed DFS market studied with only 550,000 DFS users (4% of the adult Population). The population is very young, with a median age of just 17, which may also be contributing to low DFS penetration. The DFS market is hindered by several factors, including a low literacy rate (51%), high poverty rate (61%) and a highly rural, dispersed population, with several economic hubs that are far from each other. The regulators provide for a bank-led DFS model, although they allow companies wishing to engage in DFS to register as non-bank financial institutions. MNOs Vodacom and mCel have formed subsidiaries with bank licenses to service the DFS market. mCel has a majority market share at 44%; however, none of the providers have been able to develop a viable DFS offering. Nigeria has a high poverty rate with approximately 27% of the population living on less than US$1.25/day, coupled with a relatively low literacy rate of 51%. With 60%, Nigeria has the highest level of banked adults within the study. The regulator does not allow for MNOs to offer their services directly, which is believed to be hindering market growth. However, MNOs are still very active through bank partnerships. In April, the Central Bank approved two models of mobile money services. The DFS market is dominated by Ecobank on the banking side. First Bank and United Bank for Africa also offer DFS, though both have performed poorly. On the MNO side, Airtel, Etisalat, Globacom and MTN have all partnered with banks in non-exclusive agreements in order to pursue their DFS strategies. The market is held back by terrorism, corruption and fraud, which have limited expansion to the country’s marginalized north and eroded customer trust in DFS. The total banked population is also approximately 20%. There are 1.5m Senegalese registered DFS users, representing 20% of the adult population. Senegal is a member of and host to WAEMU as well as the regional switch, which allows WAEMU members’ banking and DFS technology to speak to each other. As a result, the country has benefitted from a variety of actors moving into the market and using it as its first foray into the region and DFS market. The regulator allows for all types of providers to offer DFS, including banks, MNOs and third parties. The three main actors in the DFS market are Orange, Tigo and Société Générale, a bank that offers a service known as Yoban’tel. Senegal is also home to various third-party providers, including the up-and-coming Joni Joni, which focuses on domestic remittances through mobile phones. Threatening the expansion of the market are the low levels of structured rural distribution systems that could support the build out and sustainability of rural agent networks. The country also has a low level of adult literacy, further hindering market growth. Uganda is the most developed DFS market in the 7-country comparison. There are 14.2m registered DFS users, representing 77% of adults; however, active user rates are only 28.7% of the adult population. Regulations allow for MNOs to offer DFS, including wallets and agents; however, banks are only able to offer mobile applications and are prohibited from having agent networks. Banks have found ways to engage, though, through partnerships and interoperability with MNOs. They provide linkages from their customers’ bank accounts to the MNOs’ mobile wallets, as well as providing services to agents such as acting as ‘super agents’ for liquidity management. The DFS market is experiencing challenges in growth due to the lack of a national ID and poor infrastructure (including roads and electricity), particularly in the north of the country. The major DFS provider, MTN, has recently experienced high rates of fraud and system downtime, leading to a lack of trust by customers and lowering the activity rate of registered users. There are 2.8m registered DFS users, but only 2.4% of the adult population are active users. The financial sector of Zambia is dominated by foreign banks, mostly South African. 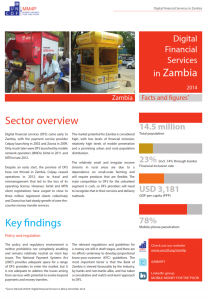 However, only one national bank—Zambia National Commercial Bank (known as Zanaco)—is engaged in mass-market DFS. There are three MNOs: two foreign (Airtel and MTN), which offer DFS, and one national (Zamtel), which does not engage in DFS. Mobile payments came early with Celpay, a now-defunct payment Service provider, in 2002. Zoona, a third-party service provider opened in 2009, and is now considered a great success story. Aside from Zoona, all DFS providers face challenges with high inactivity rates, and have struggled to devise and market a product that is tangible and useful. Regulations are supportive of innovation with prudential customer protection, with all types of providers able to offer services to some extent and with the regulator taking a ‘watch-and-learn’ approach to market regulation. It is useful keeping in mind the different success factors of the Kenyan Mpesa story, however when benchmarking with other African markets, the unique and non-replicable combination of factors in Kenya become obvious which prevent broad benchmarking. Providers will need to consider how best to build customer-centric platforms and products to create a truly viable business proposition. Given that each market is unique, taking the time to understand and analyse social, economic and cultural factors will help immensely in developing appropriate products that address customer pain points and meet customer needs. In addition to client demand, taking into account key drivers of a DFS ecosystem will provide insight into appropriate product development opportunities for their businesses. As ecosystems develop, DFS can assist providers in scaling their businesses by growing fee revenue through new transaction products, reducing the cost of funds for banks by growing their deposit base and eventually growing their interest revenue through their ability to offer loans to previously untapped markets, as seen by CBA and Equity Bank in Kenya. Once again this blog can only summarize the executive summary of the study which goes much deeper into policy and Regulation, the delivery infrastructure, Agent Networks, etc. So, please: READ THE WHOLE STUDY!! And you even have small 2-page handouts per country to use for other purposes. 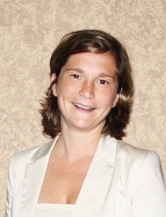 This entry was posted in Allgemein and tagged access to finance, Africa, mobile banking. Bookmark the permalink.